If your underarm hair is dark colored, you are likely to get discolored underarms once you have shaved. This is simply the appearance of your hair follicles just under the skin surface. Your underarms may also itch. Try waxing or plucking your underarm hair instead of shaving. If the discoloration persists, you may opt for a permanent underarm hair removal procedure such as laser. Buildup of dead skin cells masks your normal skin color, leading to dark spots or more extensive underarm discoloration. You can clear the discoloration by using exfoliating products containing lactic acid. Some deodorants and antiperspirants may cause discoloration under armpit. If you notice a discoloration in your underarms after changing your deodorant or antiperspirant, consider reverting back to your former brand or switch to another product. Dark underarms due to acanthosis nigricans may also include discoloration in other parts of the body, such as neck, elbows, palms, groin, knees, skin folds, soles of the feet and knuckles. The medical condition affects both men and women and involves a velvety appearance in the skin. It is more prevalent in dark-skinned people and the overweight. The condition has also been linked to pre-diabetic, diabetic and potential diabetic individuals. People undergoing growth hormone therapy or having pituitary problems, hypothyroidism or Addison disease are also likely to get discoloration due to acanthosis nigricans. Treatment should address the root cause. Overweight people should work with a healthcare provider to lose weight. Your doctor may order tests to diagnose any underlying problems. In most cases, once the underlying cause is addressed, the discoloration under armpit or elsewhere fades. When the discoloration is too unsightly, you can use cosmetic treatments such as skin lighteners for your peace of mind. Use skin lighteners such as salicylic acid, alpha hydroxy acids, Retin-A and 20% urea for best results. This happens when too much melanin is produced, causing darkening of your underarms and other skin areas such as neck, groin and inner thighs. When discoloration is caused by hyperpigmentation, effective treatment involves prevention of over-production of melanin. You need to consult a dermatologist who will prescribe a hydroquinone ointment that interferes with the melanin production process. Low and medium-strength hydroquinone is safe for short-term use only. Alpha hydroxy acid topical ointments may also be used to control the condition. Discoloration of the underarms may also be caused by bacterial infection such as erythrasma in which discolored scaly patches appear in moist skin areas. The condition is more common in warmer climates and is more likely to affect overweight people and diabetics. The condition can be treated by topical application of erythromycin ointment or use of antibacterial soap. If the condition is serious, you doctor may prescribe an antibiotic pill. For some women, discoloration under armpit may occur during pregnancy due to the hormonal changes. The changes may cause overproduction of melanin in the armpits, and on the nose and the upper lip. The condition is temporary and clears after delivery. While this type of discoloration clears after giving birth, it persists in some women. To treat the condition, refer to the suggested home remedies below. If your clothing is too tight, it may cause excess rubbing against the skin in your underarms. The reaction is thickening of the affected skin (hyperkeratosis) and hyperpigmentation. Wear lose, absorbent and nonabrasive clothing to minimize rubbing and prevent growth of bacteria. Natural fiber is friendlier than synthetic clothing. To treat the thickened and discolored skin condition, use retin-A lotions or medications such as isotretinoin. If you notice any sudden change in your skin condition, consult your doctor to find out if it is a symptom of medical problem. While discoloration may be a sign of acanthosis nigrans, it could also be the symptom of a more serious problem such as skin cancer. Consulting a doctor at the earliest time will ensure fast and correct diagnosis, which increases your chances of full recovery, even in the case of cancer. 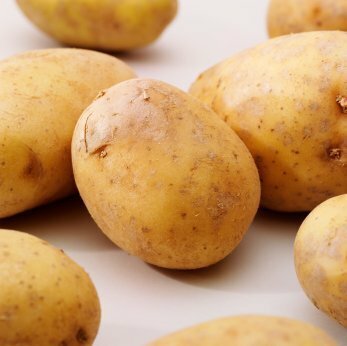 Potato is slightly acidic and has natural bleaching properties. Massage your underarms with a potato wedge or slice. Wait 20 minutes before cleaning your armpits with warm water. 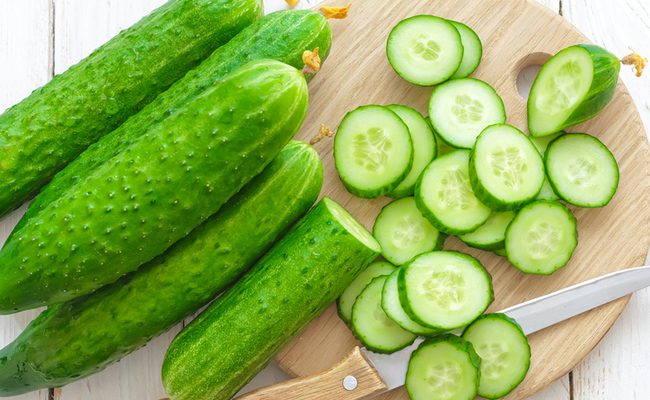 The cucumber is another natural bleaching agent that will help relieve your discolored underarms. Rub a slice of cucumber into your underarms or apply juice from a grated cucumber. Wait 30 minutes before washing it off. Alternatively, mix cucumber juice, turmeric powder and lemon juice and apply to your underarm. Leave the mixture on for 30 minutes, and then wash with water. Repeat daily. 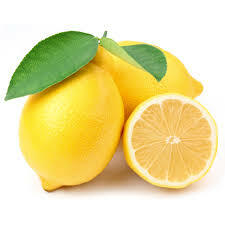 Lemon has natural antiseptic, antibacterial and bleaching properties. It clears skin blemishes, including discoloration of underarms. Cut a wedge of lemon fruit and rub it into your armpit for one or two minutes. Wait 10 minutes before washing it off. Repeat every two to three days. You can add some yogurt, turmeric powder, and honey to the lemon wedge for even better results. Use baking soda to get rid of dead skin cells that cause underarm discoloration. Put some baking water in a small bowl. Add water, a little at a time until you have a thick paste. Scrub your under arms using this paste. Clean it off and then pat dry. 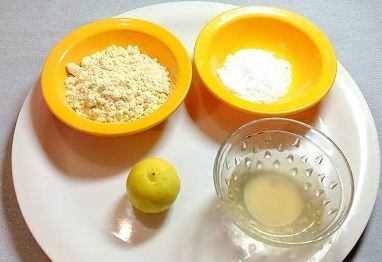 For a natural deodorant, mix one part baking soda and one part cornstarch. Dust your armpits lightly. 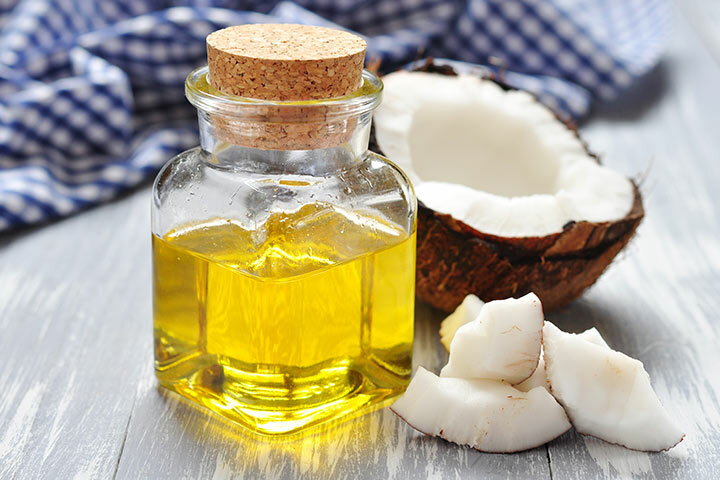 The vitamin E in coconut oil helps to clear the discoloration under armpits. Put some coconut oil into your palm and massage it into your discolored armpit. Wait for 15 minutes; then wash your underarms with warm water and soap. Repeat twice or thrice daily.